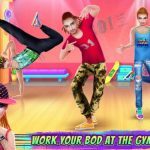 Love and Hip Hop: The Game is a new mobile title for Android and iOS from Behaviour Interactive that serves as the official game for the hit VH1 series of the same name. 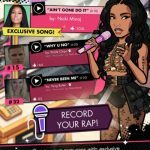 This game allows you to join a cast of rappers seeking success in the hip-hop scene in New York City. 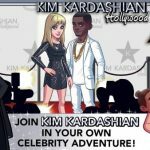 This is another one of those celebrity-themed games in terms of its mechanics. You can create your own story as you climb up the top of the hip-hop charts and “dominate” the overall music industry, releasing big hits and doing other things celebrities often do – dating, writing blogs, and even cooking up a bit of trouble and drama along the way. You can also dress up your character with the hottest fashions and make use of Game Center (on iOS) and Facebook to help your friends out in the game. 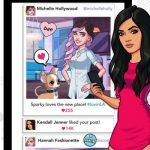 Being a celebrity isn’t easy, even in a virtual world, as anyone who’s played these types of games know. But before you move on to the real nitty-gritty of becoming somebody in the world of hip-hop music, we suggest you to read this list of Love and Hip Hop: The Game tips and tricks. We’ve created this list with the beginner player in mind, so read on as we get you oriented on the basics. Think those outfits you buy in the in-game store are merely there to make your character look different from everyone else? That’s only part of the picture, as the clothes you purchase and eventually have your character wear can improve their stats. Look for the icon found on each clothing item – it may be a kiss or a microphone, or it may be both icons on one item. If you want to succeed in flirting and do well on your dates, you want to wear clothing with the kiss icon. But if you want to make the most out of your recording sessions and earn more experience and bills, you want those articles of clothing that have the microphone on it. Depending on the task ahead of you, change your clothes like you would in real life, but this time with the intent of wearing the right stuff for a gi ven occasion. When looking for actions to perform during events, you want to go for the actions that will cost you bills. But why should you set your priorities on these activities? Simply put, actions that would require energy drinks are usually only good for the sake of experience, but don’t come with any other benefits. But by spending a few bills on performing certain actions, you can get some rare stuff, and maybe even some diamonds. Normally, these activities would require you to buy a food item or a drink, and if you’re worried that you may run out of bills for performing actions, you need not worry; the game is quite generous in rewarding players with bills. As a bonus tip, you can perform actions repeatedly by waiting for a few minutes for the actions to refresh. Once you’re done with the tutorial part of the game, you may find yourself inundated by recording requests. In the real world, it takes time to record an album, and not all songs a group records for an album would find their way there. On a similar note, you don’t need to fulfill those requests right away, which means you can take your time, not worry about a time limit, and only complete the requests when you could. Also take note that all recording sessions will last about an hour or more in terms of in-game time; once one session is almost complete, you can return to the game to set up a new one. It’s important that you try your best to fill up the progress meter, as filling it up more will allow you to earn more experience and bills. That would require you to complete as many actions as you could while playing an event, though filling up the progress meter to 100 percent would allow you to finish the event as quickly as possible. It’s even okay to wait until the event’s timer runs out. Love and Hip Hop: The Game is one title you’ll want to play as often as possible, as coming back to the game regularly will allow you to use your energy drinks while still in the middle of an event. Just be sure your in-game notifications are turned on, because energy drinks do have a specific timeframe to replenish – about five minutes or so per energy drink. And this wraps up our quick guide for Love and Hip Hop: The Game. If you know other hints for the game, that we haven’t mentioned in this guide, feel free to share them with us in the comment section!